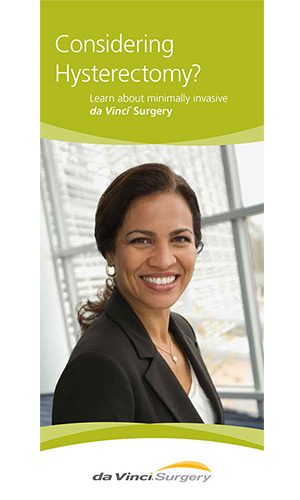 da Vinci - Women's Cancer and Surgical Care, P.C. The da Vinci Si System was designed with the goal of further advancing the technology used in minimally invasive surgery. 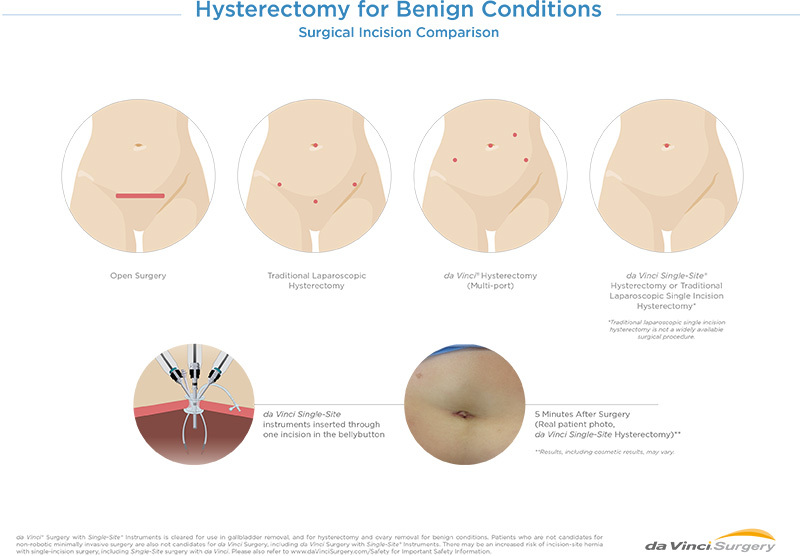 The System can be used across a spectrum of minimally invasive surgical procedures and has been optimized for multi-quadrant surgeries in the areas of gynecology, urology, thoracic, cardiac and general surgery. By enabling efficient access throughout the abdomen or chest, the da Vinci Si System expands upon core da Vinci System features, including wristed instruments, 3D-HD visualization, intuitive motion, and an ergonomic design. As with all da Vinci Surgical Systems, the surgeon is 100% in control of the robotic-assisted da Vinci System, which translates his/her hand movements into smaller, more precise movements of tiny instruments inside the patient’s body. The Si System’s immersive 3D-HD vision system provides surgeons a highly magnified view, virtually extending their eyes and hands into the patient. 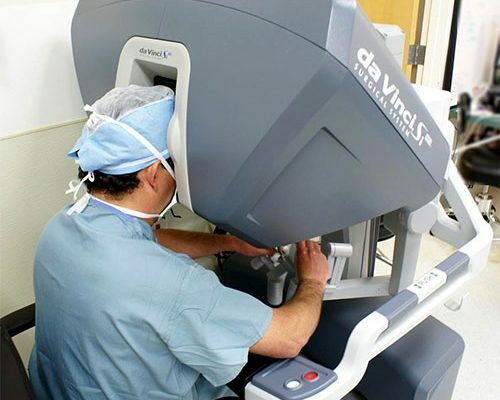 The da Vinci System has brought minimally invasive surgery to more than 3 million patients worldwide. da Vinci technology – changing the experience of surgery for people around the world. At Women’s Cancer & Surgical Care we are proud to be able to offer our patients a minimally invasive surgery. Unless otherwise noted, all people depicted are models. Product names are trademarks or registered trademarks of their respective holders.